Baltimore is a bustling urban center with award-wining dining, thrilling entertainment and great shopping, including a strong mix of unique boutiques and popular large retailers. Downtown and Harbor East are the home to the best nightlife and attractions, and has quickly become the culinary resource of the area. So when you buy a City Life home, you are just minutes from a plethora of culture and excitement. 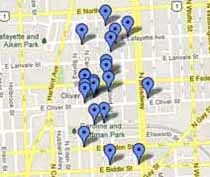 Ride the free shuttle, bike or walk too many exciting attractions just minutes away. Our houses are located in an up and coming community, with a rich history, that is undergoing great positive change. Houses are being transformed, people are connecting with their city and pride abounds. Baltimore is known as Charm City and it’s easy to see why. It’s family friendly and, from seniors to singles, there is a wealth of things to do, places to visit, and activities to match everyone’s interest. Options: Our homes can be fully-customized to fit your every need in a variety of locations of your choosing. $$$: Not only do you get to choose your home at a great price, the financial incentives programs are unbeatable! Some homeowners have received incentives up to $30,000 toward closing costs! 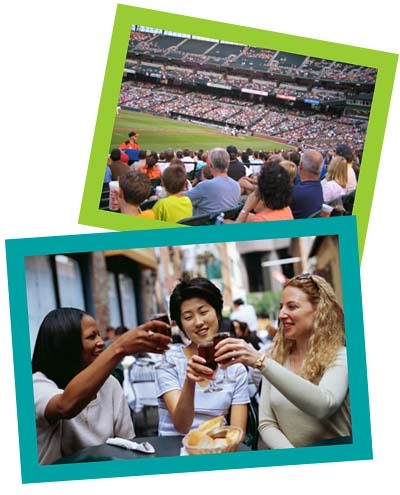 View some of the incentive programs offered in Baltimore. Convenience: City residents often only need to walk one or two blocks to get their dry cleaning, pick up a loaf of bread or go out to a local restaurant. And, the proximity to Johns Hopkins ensures that residents have access to job opportunities and medical facilities of the highest standard. Schools: Baltimore City has many great schools from Blue Ribbon public elementary schools, city-wide magnet schools for arts or technology, to a new wave of public charter schools including Baltimore’s first new K-8 public school in 30 years, Henderson-Hopkins (a $42 million project) currently under construction right in the neighborhood! Learn more information about the Henderson Hopkins School. Culture & Nightlife: Baltimore City offers access to everything from museums, theater and concerts to sporting events, festivals, zoos and historical sites. Live in the region’s cultural center and be within walking distance of nighttime entertainment! Shop at the brand new upscale Walgreens; celebrate all those special times at the new restaurants; Atwater’s, Teavolve, Milk + Honey and Cuban Revolution right around the corner. Active Lifestyle: Live blocks away from Baltimore’s newest Urban Park - Eager Park - where you can enjoy planned concerts, community gardens and a weekly farmers market. Beautiful Patterson Park, “Baltimore’s Back-yard”, is minutes away and offers sporting events for every level of sport enthusiast. And for your “creative” side - take in the shows, movies and workshops offered at the Creative Alliance at The Patterson. Live Green: It’s no surprise that Baltimore was ranked as the 10th most sustainable city by Sustainlane in 2008. Your lifestyle can be more eco-friendly just by living a city life since you are closer to the amenities you need daily. Recent statewide and city initiatives show a government commitment to making our city Cleaner and Greener. Safety: “The Oliver Community is one of the safest communities in Baltimore City with lower crime statistics than Canton and Brewers Hill,” reports Mr. Andre Bonaparte, Senior Director of Public Safety for East Baltimore Development Inc. (EBDI). Transportation: Getting around town is easy with the variety of public transportation options available from MTA Maryland and the City of Baltimore including the Charm City Circulator, a FREE shuttle service. Learn more about the Charm City Circulator.